Composer, pianist and producer, Michael J Lewis was born in Aberystwyth, Ceredigion, Wales. He was a choirboy at six and church organist at ten. Later, he studied harmony, counterpoint and composition at the Guildhall School of Music in London. His numerous film score credits include Julius Caesar, The Medusa Touch, The Naked Face, Theatre of Blood, Hound of the Baskervilles and Sphinx. He won the Ivor Novello Award (Britain’s premier music prize) for his first film score, The Madwoman of Chaillot, starring Katharine Hepburn, Danny Kaye and Yul Brynner, directed by Bryan Forbes. His first Broadway show, Cyrano, earned the actor Christopher Plummer a Tony Award and the writers a Grammy nomination. The TV film The Lion, the Witch and the Wardrobe won Michael an Emmy Award and his first American score, Rose and the Jackal, starring Christopher Reeve, won an American Cable Excellence nomination. 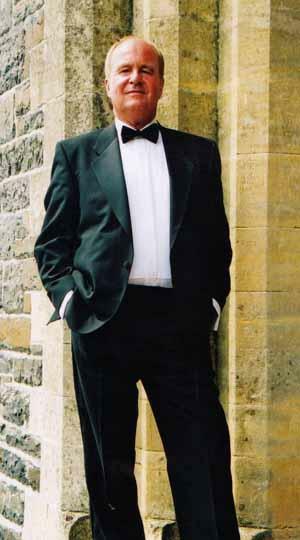 In 1994 he formed Pen Dinas Productions (Welsh for ‘chief city’), named after the hill in Wales on which he was born. Current releases include The Romantic Splendour of Wales, In the Language of Heaven, The Golden Harp, Celtic Moon, Incandescence, Orchestral Romance, Orchestral Drama, Piano Moon, Christmas Around the World, Beautiful Dreamer and Hearts Afire. In 1997 Michael founded Côr Cymraeg De Califfornia (the Welsh Choir of Southern California) a non-profit multi-ethnic choir dedicated to the glories of Welsh music. He has been the recipient of the ASCAP Special Award for the years 2000-2003.